We are in Naples, FL this week visiting Michael's parents for Thanksgiving and his mom, Patsy, shared her mother's cornbread stuffing recipe. 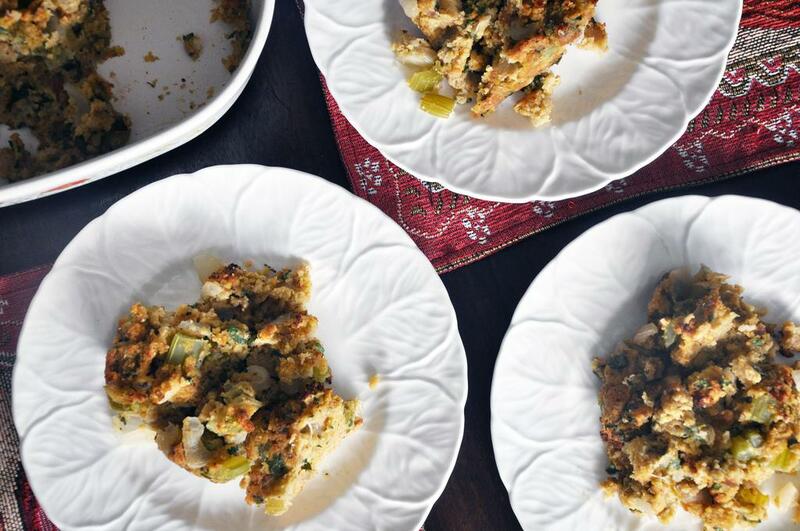 Charlotte was from Mississippi, and Patsy said she made this simple, but delicious stuffing each and every holiday. I vegetarianized it and added fresh herbs for a more modern take. This recipe calls for real unsalted butter, but you can save 2g fat and 3.8g saturated fat per serving by using a plant oil-based butter like Earth Balance Whipped Spread. In a large bowl, mix together cornmeal, buttermilk, 2 Tbsp melted butter, 1 egg, chili powder, salt, sugar, baking soda and baking powder until smooth. Batter will be thick. In a loaf pan or 8" square pan sprayed with cooking spray, pour cornbread mixture in, distribute evenly and bake 20 minutes. Remove from oven, let cool slightly, and then puree in a food processor. Cornbread will be dry and crumbly. Set aside crumbs in a large bowl. Leave oven at 350 degrees. If using fresh bread, slice, toast and puree in food processor. 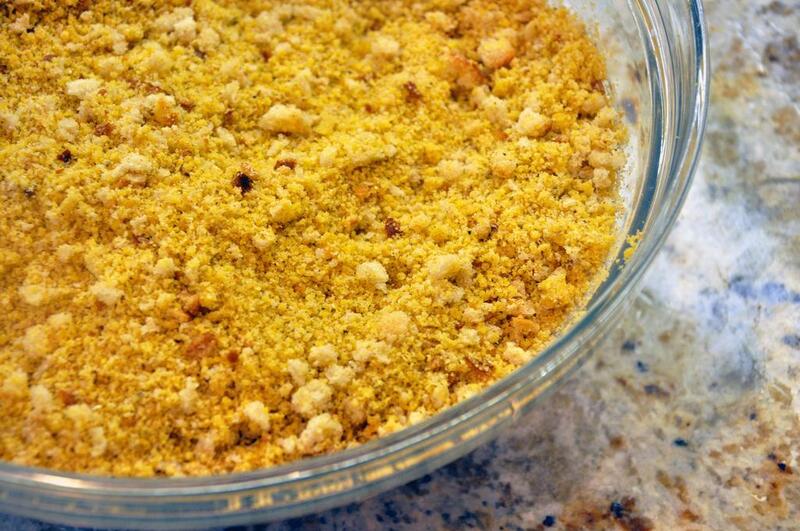 Add to cornbread crumbs and set aside. 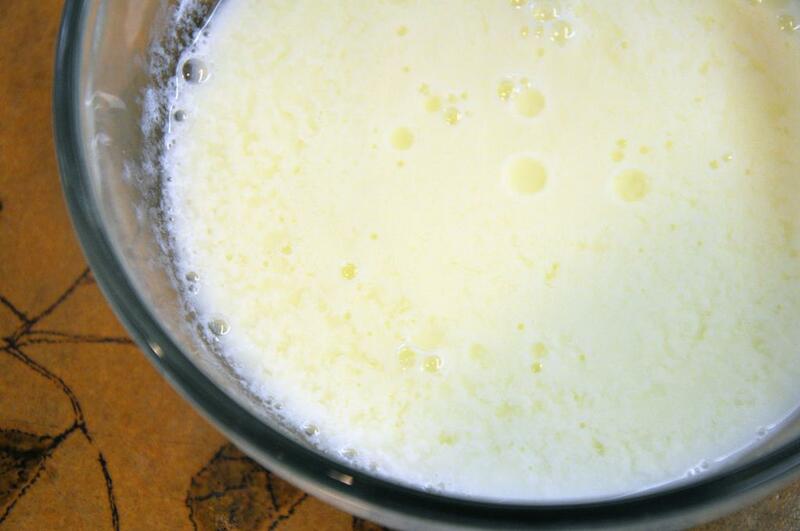 In a medium pot, melt 1 Tbsp butter over medium heat. 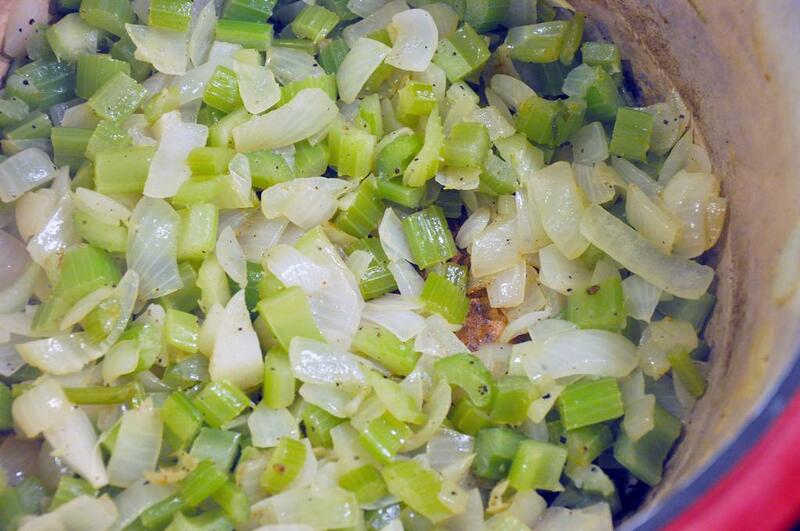 Add celery and onions and sauté until softened and slightly browned, about 10 minutes. Add broth and remaining 5 Tbsp butter. Heat until butter is melted and then remove. 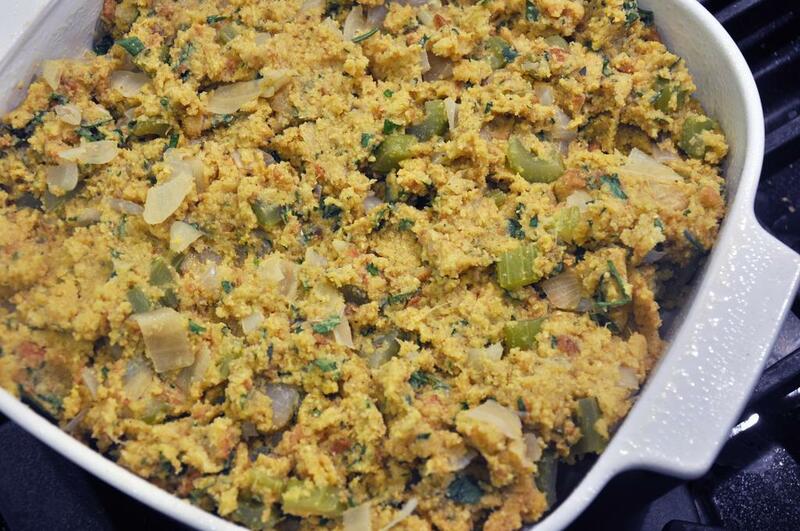 In the large bowl with cornbread and bread crumbs, add vegetable-broth mixture and stir to combine. Add parsley, thyme, rosemary, sage, pepper and nutmeg and stir again. Finally add the last 2 eggs and stir well. 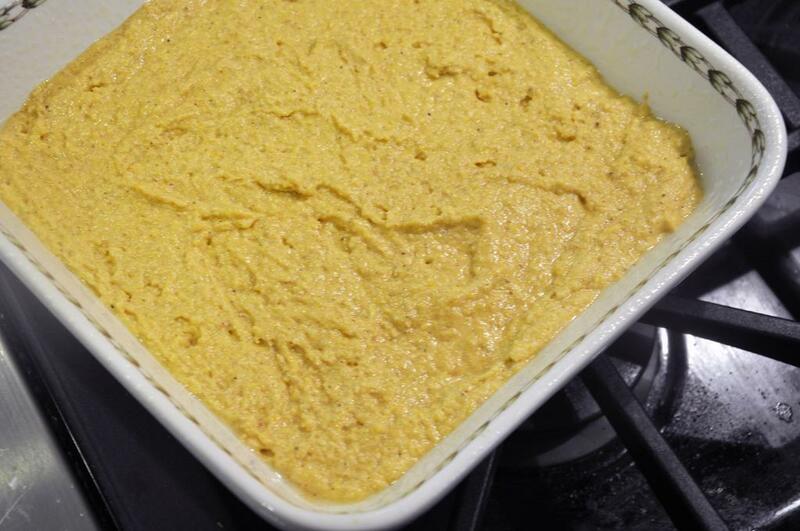 In a medium casserole dish sprayed with cooking spray, add stuffing and spread out. Bake for 30 minutes, then turn on broiler. Broil stuffing for 3-5 minutes until browned and crispy on top. Serve hot.